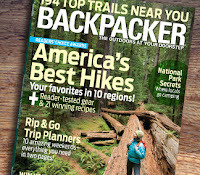 FREE Backpacker Magazine 1-year Subscription! Head on over to The Clymb and get $10 credit when you register a new account. Scroll down the page a bit to find the picture above, add the magazine to your cart, voila...it's FREE!